I have long been interested in the Fairy Melusine, as evidenced by my writing the book Melusine’s Gift. While researching that novel, I learned that Melusine was referenced in Philippa Gregory’s The Cousins War series, beginning with The Lady of the Rivers, so I had to read those novels. I found them fascinating since I’ve also long been interested in the Wars of the Roses. 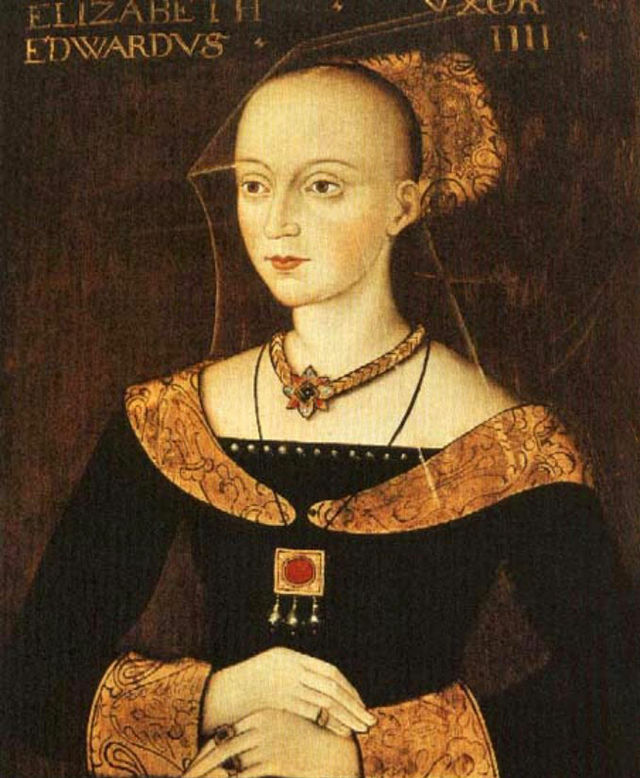 Indeed, it’s possible that I am descended from Elizabeth Woodville, and her mother, Jacquetta of Luxembourg, who figure prominently in the novels. But one thing confused me about Gregory’s depiction of Melusine. Her insistence that Jacquetta, and the House of Luxembourg, was descended from the famous mermaid-like fairy. I assumed there must be some source to this idea, but Gregory never explains the connection in the novel. Melusine is better known as the ancestor to the House of Lusignan, so I could only guess that some member of the House of Lusignan had married into the House of Luxembourg, but who? I also was surprised by Gregory making the English characters in the novel suspicious of Jacquetta and Elizabeth because of their connection to Melusine. Both women are even accused of witchcraft, so clearly descent from a famous mythical creature—sorceress, mermaid, flying serpent woman, however you want to describe Melusine—was a partial explanation for this fear and their belief that the women might share their ancestor’s supernatural powers. But Gregory completely ignored that the English royal family, the Plantagenets, including Edward IV, whom Elizabeth Woodville married, themselves claimed descent from Melusine. Not until the final novel in the series, The King’s Curse, does she even make a passing reference to this connection. First, let me say that the claim of the Dukes of Burgundy to being descended from Melusine seems unlikely. In fact, I believe Gregory made up the connection that the House of Luxembourg is connected to the House of Burgundy. If they were at the time of the mid-fifteenth century, it was a very tenuous connection and I could not find a connection. Furthermore, the Dukes of Burgundy during Jacquetta’s time in the early fifteenth century were directly descended from the French royal family. Elizabeth Woodville, wife to Edward IV of England, was descended from the House of Luxembourg, and perhaps a descendant of Melusine. Baring-Gould’s claim that the House of Luxembourg claimed descent from Melusine is true, but it is not a credible claim. In fact, in The Book of Melusine of Lusignan by Gareth Knight, who is perhaps the greatest expert on Melusine, it is stated that the Luxembourg legend says that Sigefroy, first Count of Lusignan, married a woman named Melusine (p. 117). Since we know Melusine married Count Raimond of Lusignan in other versions of the legend, it is likely various nobles just decided to make up their own connections to Melusine. Somehow, I just don’t see Melusine as a bigamist who deserted Raimond and then went and remarried. Furthermore, Sigefroy is considered the first count of Luxembourg and he lived in the tenth century, while Melusine seems to have lived in the eighth century when she is married to Raimond of Lusignan. Plus, we know that Sigefroy was married to Hedwig of Nordgau, by whom he had several children, including those through whom the House of Luxembourg descended. So the link between Melusine and Luxembourg seems to be completely fanciful, but still, I decided to dig into Jacquetta’s family tree to see whether I could find any Lusignan link, and believe it or not, I did find a connection. The link is actually through Jacquetta’s paternal grandmother’s line, as shown below. The tree begins with the first documented member of the House of Lusignan, Hugh I, who lived in the ninth century and whom we can presume would be the alleged descendant of Melusine. Each person on the chart is the parent of the person below him or her. Hugh II (d. 967) According to the Chronicle of Saint-Maixent, he built the castle at Lusignan. The genealogy above is a very roundabout way to connect Luxembourg to Lusignan, but the connection is there. That said, Jacquetta was as closely connected to the Plantagenets already as she was to Lusignan, being a descendant of Plantagenet king Henry III as shown below. This chart would mean that Jacquetta would also be potentially descended from Melusine if it were true that the Plantagenets were descended from Melusine. But what was the Plantagenet connection? We know that Richard the Lionhearted, who was brother to King John and, therefore, uncle to Henry III, used to like to joke about being descended from Melusine. Therefore, the link has to date to before the thirteenth century. The connection of the Plantagenets to the Lusignan’s actually exists in the line of Anjou from which the Plantagenet line descended. Here’s where things get confusing. In the first chart above showing Jacquetta’s ancestors, we have Aimery of Lusignan, brother to King Guy of Jerusalem. The genealogy of the Kings of Jerusalem is full of marriages where husbands inherited the crown from their wives. Let’s try to unravel the genealogy of the Kings of Jerusalem. Fulk of Anjou, King of Jerusalem m. Ermengarde of Maine. They were the parents of Geoffrey of Anjou, progenitor of the Plantagenets. Fulk later married Melisende, Queen of Jerusalem. They had two sons Baldwin III and Amalric, both Kings of Jerusalem. Melisende was herself the daughter of King Baldwin II of Jerusalem, so Fulk achieved the throne through marriage. Also, notably, Melisende is often confused with Melusine because of the similar name, though that may or may not be the cause of the Plantagenet claim to descent from Melusine. Melisende got her own name from her father, King Baldwin II’s mother, Melisende, who was the daughter of Guy I of Montlhery. Who Guy’s father was is questionable. According to Wikipedia, he was probably the third son of Thibault of Montlhery, though some sources say his father’s name was Milo. I find this latter assertion interesting since the Fairy Melusine may have had a son named Milo or Milon according to some less than creditable sources. But that does not explain the link between Lusignan and the Plantagenets. As it turns out, Fulk’s son, Amalric, had a daughter, Sybilla, who ended up inheriting the crown of Jerusalem and passing it to her husband, Guy of Lusignan. The result is that the link between Plantagenets and Lusignan is only through marriage, making them sort of half-cousins, but the Plantagenets themselves are not direct descendants of Lusignan. At least not through the House of Anjou. But a later Plantagenet link does exist. Henry III’s mother was Isabella of Angouleme. Isabella was engaged to marry Hugh IX of Lusignan (brother of Aimery and Guy) when King John instead married her and made her Queen of England. As a result, the Lusignans rebelled against the English king. After John’s death in 1216, Isabella returned to France and married in 1220 Hugh X, the son of her former fiancée. (Not so strange since he was within a few years of her age while King John was twenty-four years older than Isabella.) Hugh X and Isabella had many children who would have been the half-siblings to King Henry III. Among those children was Aymer, who became Bishop of Winchester, and Alice, who married the Earl of Surrey, while the other children seem to have remained in France. So again, another Lusignan connection for the Plantagenets, but again, only by marriage. 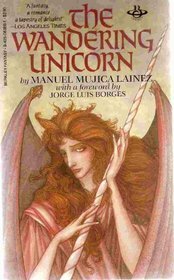 “The Wandering Unicorn” by Manuel Mujica Lainez is a fanciful novel about Melusine watching over her Lusignan descendants during the Crusades. In any case, what is clear from these genealogical explorations is that if Melusine was the progenitor of the House of Lusignan, she had many, many descendants. But the question remains whether she even lived. The line of Lusignan can only be traced back for certain to Hugh I who lived in the early tenth century, and his son is likely the true builder of the Castle of Lusignan, which is reputed to have been built by Melusine. Searches for Hugh’s ancestry would be difficult and would require going back a century or two to find the ancestress Melusine if she existed at all. However, no records seem to exist of Hugh’s ancestry. The question also arises whether we even know Melusine’s real name? According to The Serpent and the Swan: The Animal Bride in Folklore and Literature, the name Melusine was used by the first chroniclers of her tale, D’Arras and Couldrette, as an abbreviation of the French words “Mere des Lusignan” which would be “Mother of the Lusignans” in English (Source http://jungiangenealogy.weebly.com/melusine-de-alba.html). In other words, the real Melusine, like so many medieval and ancient women, remains nameless to us. Tyler Tichelaar, Ph.D., is the author of The Children of Arthur series, including the novels Arthur’s Legacy and Melusine’s Gift. You can learn more about him at www.ChildrenofArthur.com.